PennsylvAsia: Pitt Night Market (匹大夜市), March 29. The Chinese American Student Association at Pitt brings news of its Pitt Night Market on Friday, March 29 from 9 pm to midnight in room 548 of the William Pitt Union. Time to bring back the infamous NIGHT MARKET! 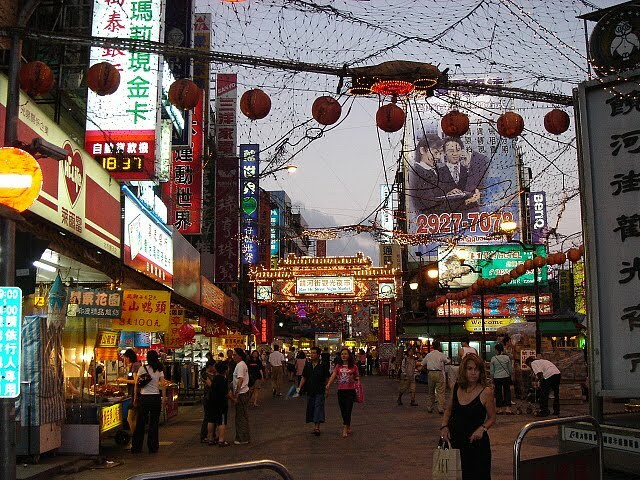 Culturally dominant in Chinese cities, night markets are a pivotal aspect of urban life in Taiwan and China. Tonight we will be bringing you a glimpse of just what its like to be at a night market. There will be free games and prizes, as well as traditional night market foods and drinks (i.e. scallion pancake, bubble milk tea, etc). Better not miss it! No word yet on the availability of stinky tofu, but this looks like a good time. Though Pittsburgh hypes the Strip District as something of a market---and it's a fine destination in its own right---the city doesn't have anything that matches the activity, the variety, and the mass of humanity of Asian cities a Taiwanese or Chinese night market. Taiwan night market, by luces. Hard to find photographs under a Creative Commons license, but you can browse more in this Flickr group.